The Sirius field sprayer offers a high capacity for the larger farmer or contractor. A close-coupled design means large tank volumes can be used in a mounted format. In this way, Sirius combines the output of a trailed machine, with the convenience of a mounted machine. The innovative tank design with integrated baffle guarantees a high degree of driving safety and easy system cleaning. The Sirius is available with tank volumes of 900 to 1,900 litres. Its compact design with optimised centre of gravity distance keeps the front axle relief low and ensures safe road transport. The HE (HorizontalExtend) boom with package folding is available in working widths of 12 and 15 metres. For 15 to 24 metres working width, the rear-folding, fully hydraulic SEH (SectionExtend) boom is available for the Sirius 10. The square boom profile increases stability and offers sufficient space for housing large nozzle bodies. Folding the implement to its transport width of less than 2.50 metres increases driving safety and facilitates both operation on the field and road transport. 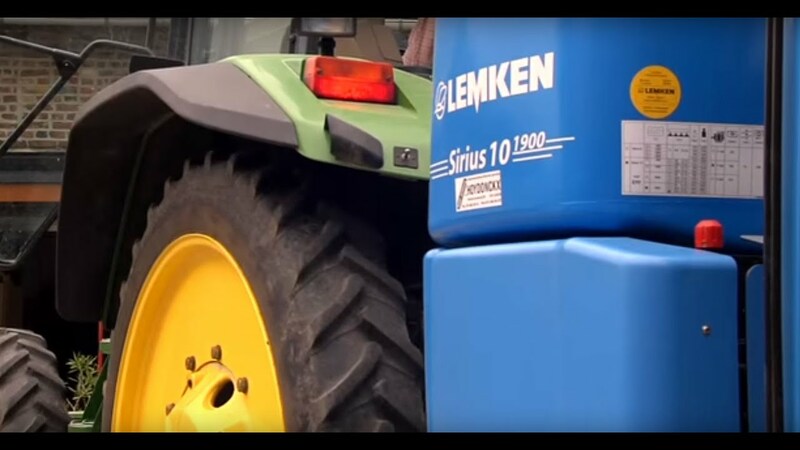 The QuickConnect upper link coupling system allows Sirius field sprayers to be mounted quickly and safely to tractors. The Sirius 8 features the Easyspray electric remote control. The Sirius 10 is operated via the LEMKEN Ecospray computer, whose functions can be extended by additional modules such as TeeJet Matrix for automatic part width section control and EcoControl for controlling the boom via a joystick.